Lead time: 2-3 weeks ex works. 100% Made in the USA, with premium quality raw materials. The Orange Vise 4.5 inch work holding platforms are ground on 4 sides, and jam packed full of features, allowing you to use them in a multitude of applications. 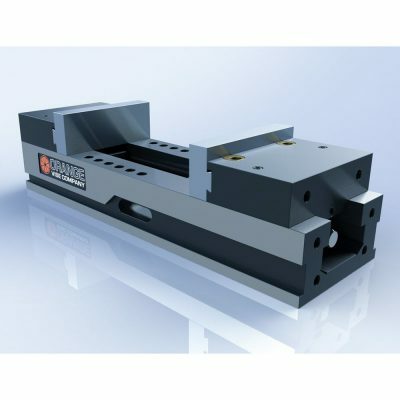 The fourth-generation Orange Vise 4.5 inch vise comes with a quick-change dovetailed jaw interface as standard equipment. 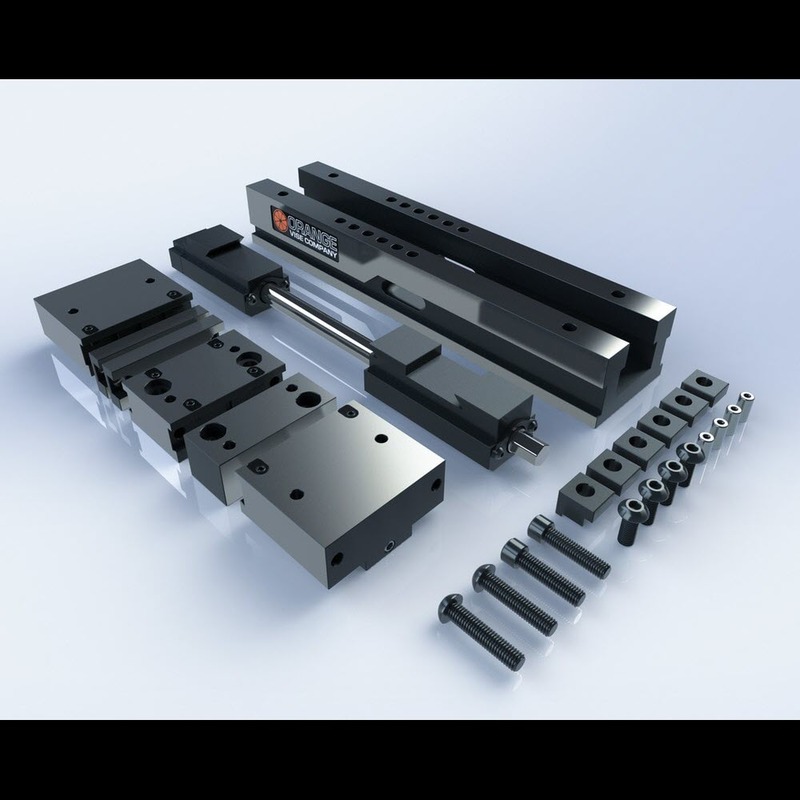 The Orange Vise is compatible with dovetailed quick-change jaws as well as 1/2″-13 bolt-on jaws in a 3.875″ x 0.9375″ bolt hole pattern. These vises can be converted to a single-station configuration without any extra hardware. 100% Made in the USA, with premium quality raw materials. The Orange Vise 4.5 inch Dual Station work holding platforms are ground on 4 sides, and jam packed full of features, allowing you to use them in a multitude of applications. 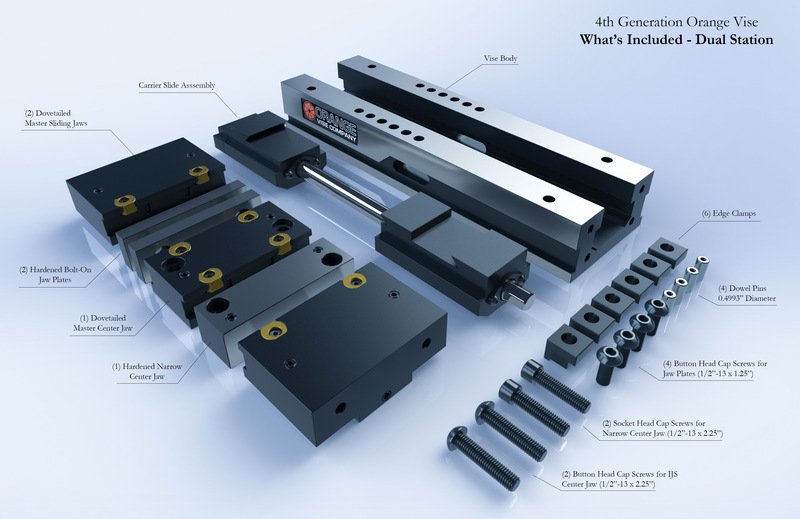 The Dual Station Orange Vise is also fully supported for use on horizontal machining centers, the carrier features a brake, allowing you to lock the position of the carrier while you setup the rest of the vise prior to clamping your job… essentially giving you a ‘third hand’. The short answer is no. 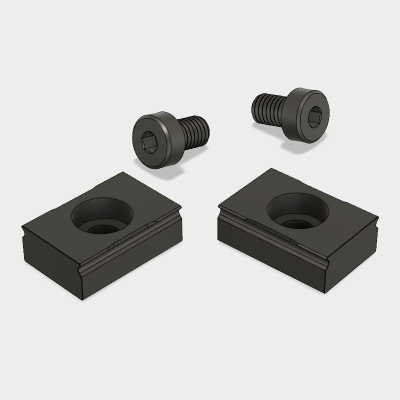 The sealed design of the Orange Vise carrier slide assembly makes it so the main screw floats axially as the jaws open and close. The changing position of the screw’s hex-end means that a typical vise handle won’t work without extensions. Instead, we recommend using a standard 1/2″ ratchet handle with a 6-point, 3/4″ socket, and appropriate extensions as necessary. For precision work, we recommend using a torque wrench for repeatable clamping and a breaker bar for unclamping. The maximum torque that can be applied to the vise screw is 162 Nm. 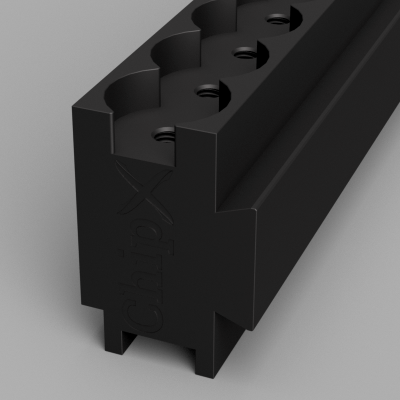 Rapid repositioning of the jaws can be done with an 18-volt cordless impact driver (54 Nm maximum). 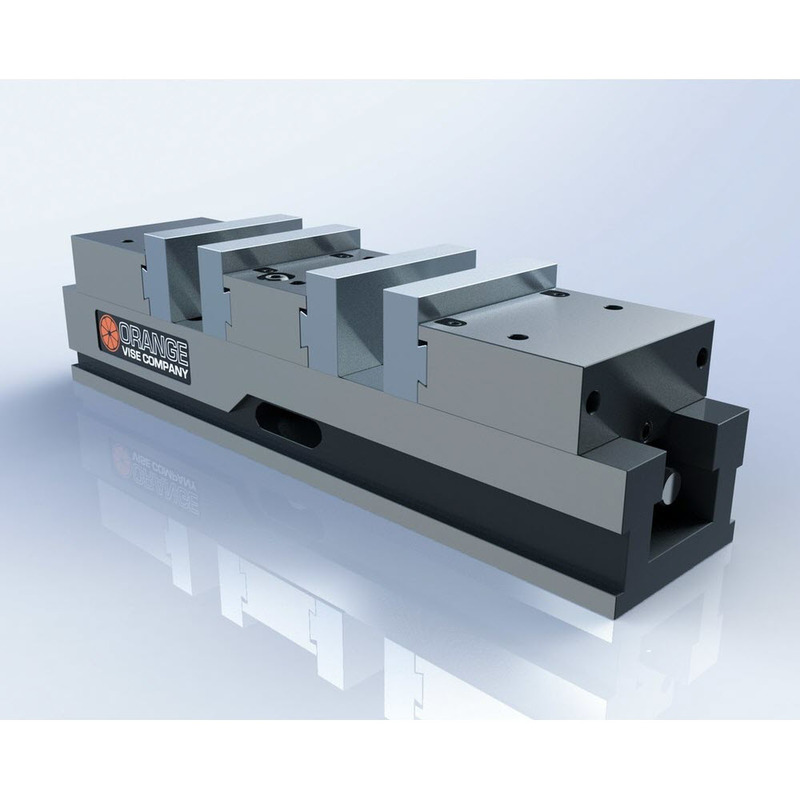 Unlike other vises on the market with thrust bearings that are susceptible to brinnelling, Orange Vises are bearing-free and thus able to withstand impact forces without any detrimental effects.